Money is a fraught subject for many Americans, even relatively well-off ones. 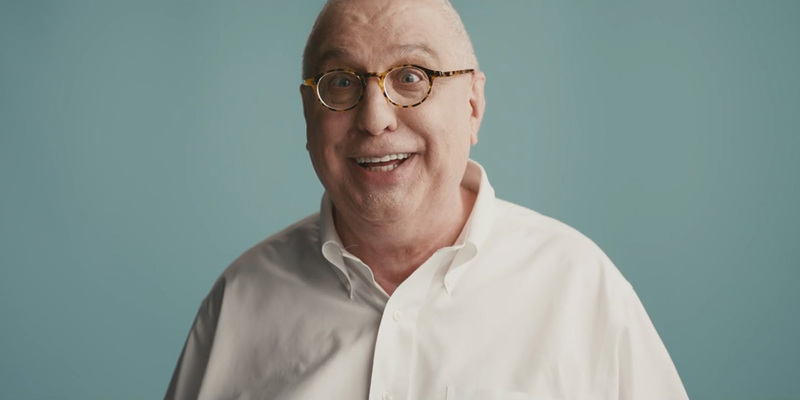 Investment company Wealthsimple takes on those often unspoken anxieties with a new campaign shot by Oscar-winning documentarian Errol Morris (and created in-house), featuring a wide range of regular people chatting about their worries. A staggering 56 short interview-style clips spotlight a range of faces of different ages and backgrounds, summed up in the anthem spot below. A young girl talks about saving so she’ll have money when she grows up. Twenty- and thirtysomething adults talk about the difficulties of entering the workforce in a recession, and their hesitance to even think about money. Older folks chuckle at the complicated nature of the stuff. In the Wealthsimple ad, the senior Morris, an accomplished commercial director, recalls a run-in with a shady investment adviser in his younger days, and the year he suddenly went from making four figures in income to seven (thanks to his work in advertising). That’s a shining example of the sort of down-to-earth perspective that peppers the campaign, even if the message generally is light in terms of specific advice on how to actually manage money. Instead, it plays up the catharsis of talking about financial fretting as a sort of friendly and relaxed teaser for the marketer’s services. The tagline is “Investing for humans,” which is perhaps somewhat ironic, given Wealthsimple is known as a robo adviser that uses algorithms to guide its investing—even though it blends that approach with live advisers. In the anthem spot, a teacher sums up the spirit of the ad, as it closes. “If people were talking about money, it would be better … right?” she says. There are plenty of other amusing moments in the dozens of shorter spots. One woman compares herself to “the banking version of the person who’s still paying for an AOL account.” A firefighter admits he doesn’t have the time to research opportunities like tech stocks or bit coin—and determine whether he’s missed the boat on them. The same young girl from the anthem spot describes her three piggy banks—one for saving, one for spending, one for giving. All in all, they paint a picture of a company that will make its customers feel comfortable with the idea of turning over their money to grow. Whether that’s true—or better in the long run than sticking your cash in a Vanguard index fund—is a different question. But it’s certainly a solid invitation to take a closer look.